This Post has already been read 687 times. 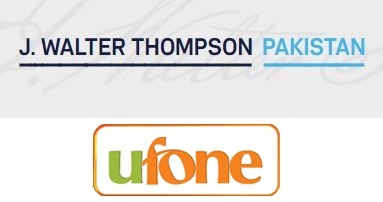 J. Walter Thompson Pakistan has won the Ufone creative and digital account after a comprehensive pitch process competing with the top advertising agencies of Pakistan. This union has sparked a chatter and interest across the marketing and advertising industry. Ufone is Etisalat Group Company and Pakistan’s premier telecom provider with its presence in all the major cities of Pakistan along with a comprehensive coverage nationwide. J. Walter Thompson (JWT), part of the WPP Group, is the world’s best-known marketing communications brand and has been pioneering brands since 1864. Headquartered in New York, J. Walter Thompson is a true global network with more than 200 offices in over 90 countries. With the new management on board since last year, J. Walter Thompson Pakistan is growing on a fast pace and have revamped the Pakistan team with some of the finest talent of the industry.